Let’s assume you are doing a residential purchase or sale and need a Manhattan real estate attorney to represent you. How do you find one and what should your criteria be? Let’s take a simplified look at what they do first to assist the process. On a purchase, your attorney will review the proposed contract and examine the financial information of the co-op or condo building which might entail going to the building to read the minutes of the Board meetings. If there is some project coming up or a noisy neighbor that is wrecking havoc, it might show up in these minutes. Your attorney will meet you to sign the contract and fedex/messenger the contract and deposit check to the seller side. After that, assuming it’s not a complicated transaction that will be about it until you go to closing and then he will reconcile the numbers at the closing table and provide you with a closing statement. 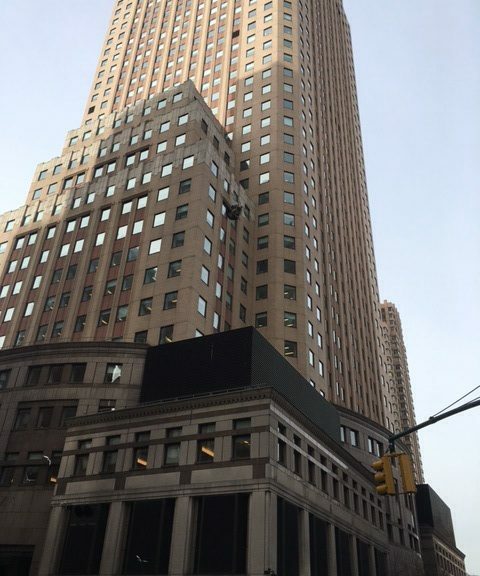 On a sale of a Manhattan co-op/condo, the attorney or assistant will prepare the NYS contracts, then will negotiate any changes proposed by the buyer side. You will meet your attorney once the buyer signs and counter sign the contract. If there are issues with the mortgage or closing, the attorney will intercede and if not your attorney will attend the closing and reconcile the numbers with the other side. Attorneys charge generally as low as $2000 for this transaction and generally an average fee is closer to $3000 or more. The easiest way to find a good real estate attorney is to ask a friend, family member or your real estate broker for the name of someone that they have used and had a good experience. You want to make sure that any attorney you use specializes in real estate so that you have a true expert on your side. Sometimes your family attorney also “does” real estate transactions but if there is an issue along the way, experience in doing many transactions may be an asset that you are happy that they have or may hurt you if they do not. So choose someone with experience. Find out if there is an assistant or someone that you can speak to in case you need a quick question answered. If your attorney spends all day in court and is unreachable by phone/email, it may add stress unnecessarily to the process. Most attorneys will have staff and in some cases they will be able to answer your questions. Lastly, while you might be recommended to a big name law firm, ask who will be the one handling your transaction. A big name firm that delegates you to a junior attorney or paralegal may not be the wisest choice. Much in the same way, a big name real estate brokerage that passes you off to the 3rd assistant may also leave you feeling that you are not receiving the service you expect. So while the description I have given of what an attorney is very simple, it is not easy and you never what bumps you will hit on the way so it’s always best to have an expert on your side. To find the right person may take a little bit of research. 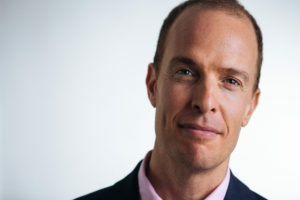 Michael Dell, the founder of Dell Computers was revealed as the buyer of the most expensive Manhattan residential apartment which he purchased in 2014. The condo at 157 West 57th street on Billionaire’s Row is an 11,000 sqft duplex penthouse that cost him $100.47 million. The building has seen its ups and downs and recent values have not supported the price per square foot that was attained back in 2014. 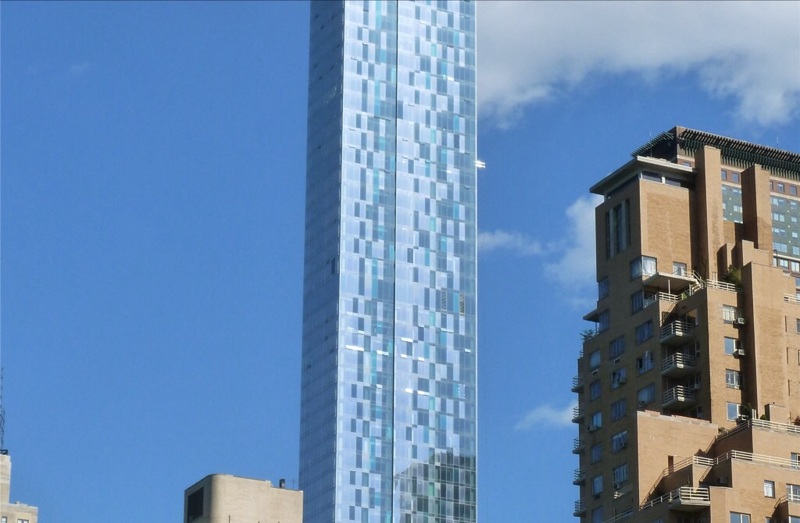 In 2014, there was little competition for the One57 but in the last few years the super luxury market has become a buyer’s market as inventory has risen and days on the market has exceeded at times 2 years! 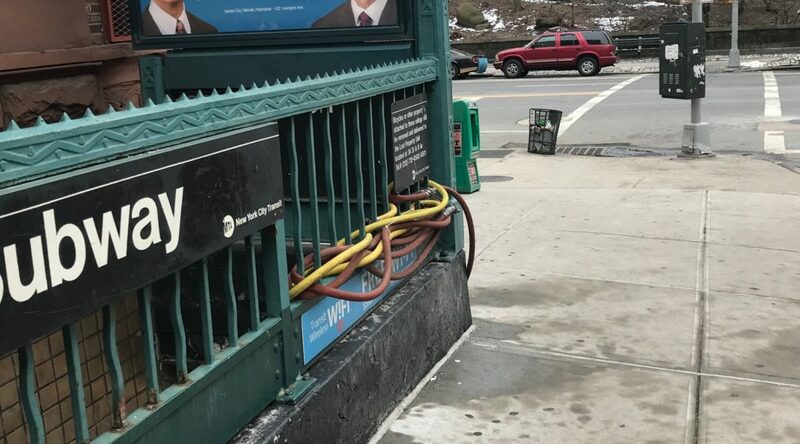 The 110th street, 86th street and 72nd street B,C subway stations on Central Park west will close for up 6 months for digital upgrades and other improvements. This will start in April. Each subway station serves over 10,000 riders per day. No additional 1,2,3 service or buses is scheduled by the MTA. 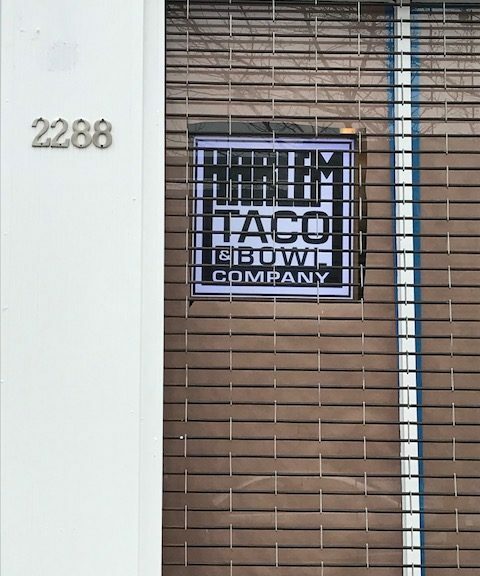 Harlem Taco & Bowl Company will open a store at 2288 Frederick douglass boulevard at the corner of West 123rd street. According to a worker at the store, they will open either at the end of this month or next month. 1 WEA one of the final pieces of the Riverside Center project is apparently going to be the home of Bruce Willis and family. He is in contract to buy a 3000 sqft pad at the new condo building. 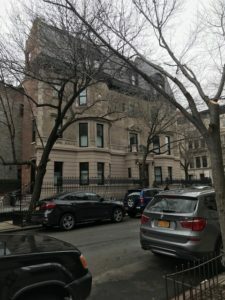 Streeteasy.com is showing 85 listings in the building with 74 in contract. The building is full of amenities including a 75 foot pool, 12,000 sqft outdoor terrace with cabanas and fitness center. 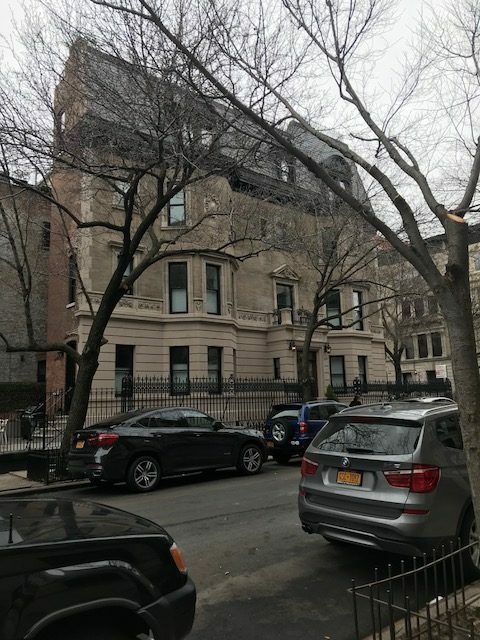 A Hamilton Heights home at 72 Hamilton Terrace has set a new sales record above 125th street, with it’s sale at $5.1 million. The home was nearly destroyed by a fire 10 years and was bought by an investor who has experience renovating and reselling homes on Hamilton Terrace and in this area. A complete renovation was undertaken and the home has now closed and broken the $5 million mark. 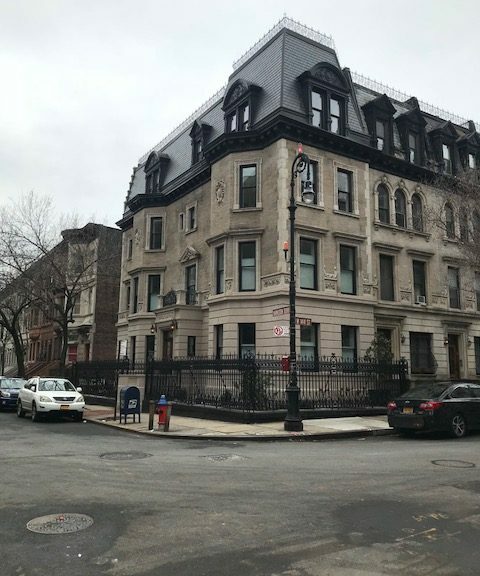 The renovated home on the corner of Hamilton terrace and West 144th street in Hamilton Heights sold for $5.1 million establishing a new record. According to a recent real estate report, nearly half of the Manhattan apartments rented in the last year were rented with concessions. The most coming seller’s concession is the owner pays the broker fee. From a small Manhattan property owner point of view, renting no fee is a mistake. Instead, it’s better to just charge lower rent. The net is the same and you may keep the tenant longer. Let’s look at an example. You have a studio apartment that you want to rent for $2400 and you decide to offer to pay the real estate broker fee. On a one year lease this brings your net to $2200 per month but due to fact that the tenant is still paying $2400 in a market where they can find a rental for $2200 or less they may just decide to move in a year when they lease is up. If instead you charge the tenant, $2200 or even $2100 and let them pay the broker fee, your net is the same but the tenant is locked in a a lower rate thus decreasing the chances they will move at the end of the lease. Also, you will have more room to raise the rent in the upcoming leases. 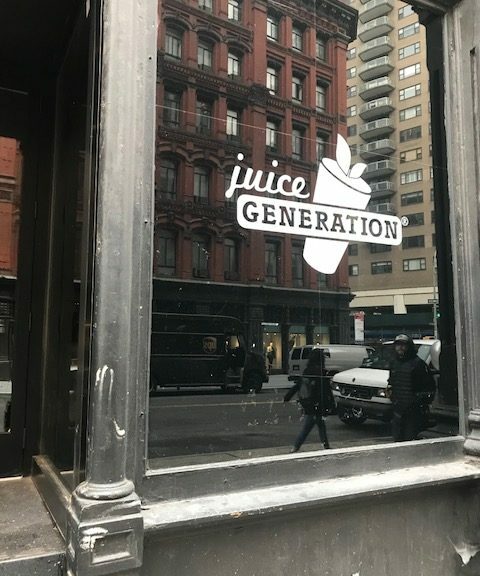 Work continues on the Juice Generation store that will open on Astor Place in the Village. The website just says coming soon. Looks like we will have to wait a bit longer to get our Almond butter bliss bowls. This will be a great, high traffic location for them. 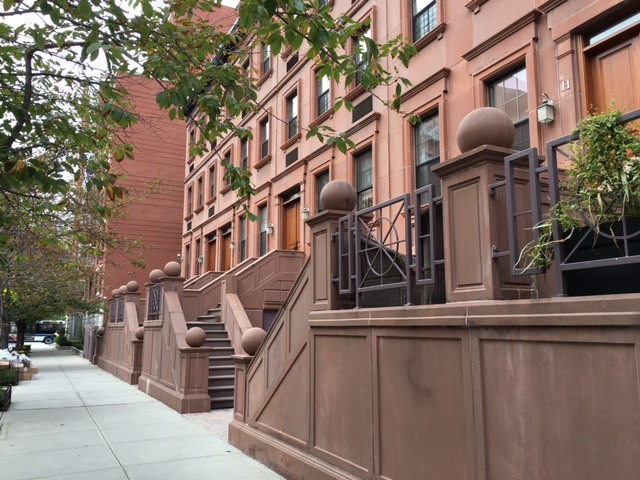 If you own a couple of Manhattan apartments, or an SRO or multi-family , no doubt dealing with tenants can be a challenge for even the most experienced Manhattan property owner. Here is a checklist of common sense but often overlooked things to keep in mind when renting and dealing with tenants. 1- Rent at below market or close to market rent. This will allow your apartment to rent quickly and you will have more interested potential tenants. 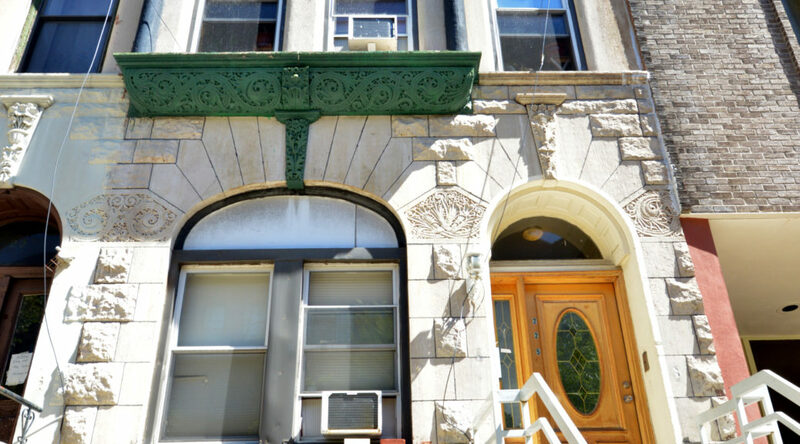 Many times, I sit down with Manhattan property owners who want to ask for a rent that will likely lead to an apartment sitting on the market. On a $3000 lease, f you ask, $200-$300 more but lose 3 months rent, that means you lose $9,000 that you will never recoup. 2- Raise or lower rents as appropriate to keep tenants but maintain profit. Years ago, I owned an apartment on Manhattan’s upper west side on Central Park west that I rented out to a tenant. She always paid on time and never bothered me at all. She informed that she was considering to move at the end of the lease because she could save money by moving further uptown. I asked her how much she would save and she said about $200 or so. Instead of suffering a vacancy I reduced her rent by about $150 and she stayed. She stayed with me in total 7 years from the first time I rented it up until I sold the apartment. On vacancy, I would lose at least one month rent if not more, and also have to paint and fix the apartment. The cost would have been more to have the vacancy. 3- Raise the rent as appropriate. I met many landlords who are reasonable and firm and others who are too nice and feel guilty about raising the rent. When the lease is about to come up, consult with your Manhattan real estate broker to see what you can get on the open market. If the rents have gone up or are in a continued up cycle, then you should raise the rent to keep pace. Many long time owners are 10-20% below the market in the rents that they charge. There is nothing wrong with keeping pace with the market. You can still charge an excellent tenant a discounted rent but if you raise their rent and they are still 10% below market, they are not going to move. 4- Be firm and make sure that you always get your rent on time. Lease riders can have late charges for rent submitted late. Also, do not be too lax about evicting a tenant who is not paying. If they do not pay, then you need to get an attorney and move to eviction. Problems do not go away by ignoring them and this one will get worse. With the cost of land increasing and assembling of multiple parcels of land more and more difficult, Manhattan skyscrapers on Billionaire’s Row and throughout have continued to go up but are now getting skinnier. 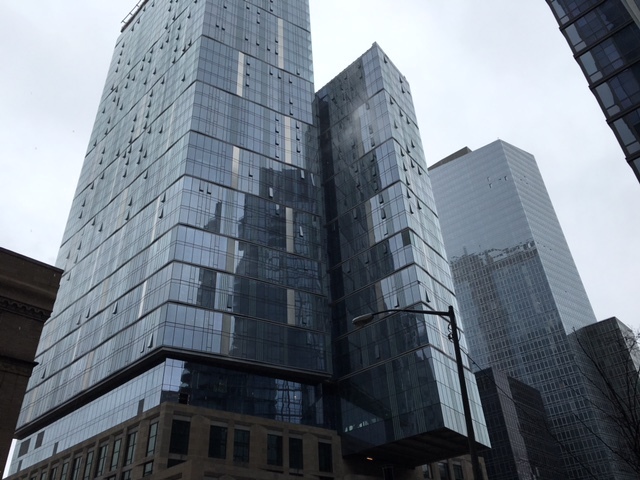 Typically, developers will buy a site but then also buy the air rights from neighboring buildings which allows them as of right to go into the stratosphere. Success of buildings like One57 which is home to most expensive sale for a residential apartment at just over $100mm are buoying this trend. 111 west 57th street is one of the newest entrants to this field with a width to height ratio of 1:24 according to engineers for the project. Developers get more more money for helicopter views so this trend figures to continue.